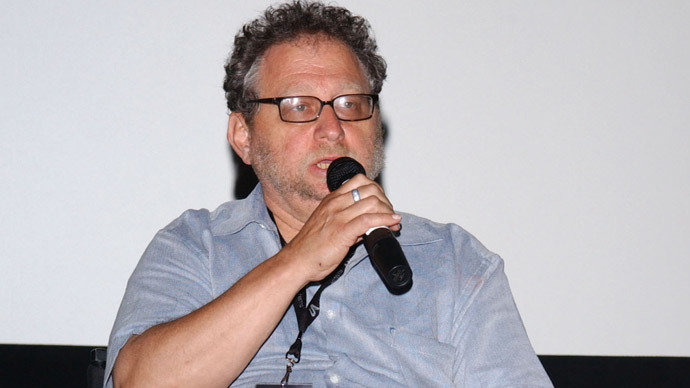 Legendary newsman, media critic and human rights advocate Danny Schechter died Thursday in New York, after losing his battle with pancreatic cancer. He was 72. Schechter started his media career in radio, as the “news dissector” at Boston’s WBCN-FM radio. Later he worked as a producer for ABC’s “20/20” and part of the start-up team of producers at CNN. He worked extensively in South Africa and was a friend of Nelson Mandela. In recent years, Schechter was a frequent guest on RT, sharing his invaluable insights into the media culture and ethics on topics ranging from entertainment television to the Olympics. Schechter was an adjunct professor at the Graduate School of Journalism at Columbia University, but his work at dissecting the news “literally educated a generation,” wrote Noam Chomsky. “Dissecting the news was Schechter’s thing. He reported to listeners what was happening, then he explained why it was happening, and then he revealed why other media outlets did not tell the whole story,” wrote John Nichols in The Nation. Schechter was also a prolific documentary filmmaker. His last project, “America's Surveillance State”, aired on RT in January. Other notable documentaries of his are: “A Hero for All: Nelson Mandela's Farewell” (1999), “WMD: Weapons of Mass Deception” (2004), and “In Debt We Trust” (2006).